Could a Video Game Start A Religion? I’m a confirmed believer in the church of video games, a sect whose faith has been rewarded over the past decade, as games have sailed easily over the hurdles that have been placed in front of them by the apostates. No one really disputes anymore that games can make us cry, make us laugh, teach our children, train our soldiers, or advance political arguments. Is there anything games can’t do? For the first time in memory, I’m wondering if there’s a limit. A recent email from a listener to my podcast, Shall We Play a Game?, posed this question: “Assume that a video game franchise is going to be the founding document of a major world religion. What series do you think would be best suited to the task?” My co-host, JJ Sutherland, and I discussed the matter in detail on this podcast (starting at about the 28:45 mark), but here’s my too-long-didn’t-listen answer: None of them. Yes, of course I think interactive media are up to that task. Yet it’s striking how rarely video games—they’re more than 50 years old now—have tried to engage with religious themes, especially for a medium so often fascinated by questions of good and evil, and the end of days. The only game that brought me to a feeling that even approximates the sublimity of a religious awakening or a spiritual transformation is thatgamecompany’s Journey. And I’m capable of seeing transcendent beauty in Mad Max: Fury Road. JJ, my co-host, went with Planescape: Torment as a game that contains moral lessons that might be used for religious instruction. A listener emailed and suggested Ultima IV: Quest of the Avatar as the video game equivalent of a religious text. “The whole point of the game is not obliterating enemies, but living a life based on the ‘eight virtues’—honesty, compassion, valor, justice, sacrifice, honor, spirituality, and humility,” he wrote. (We discussed his email on this episode, at about the 39:30 mark.) 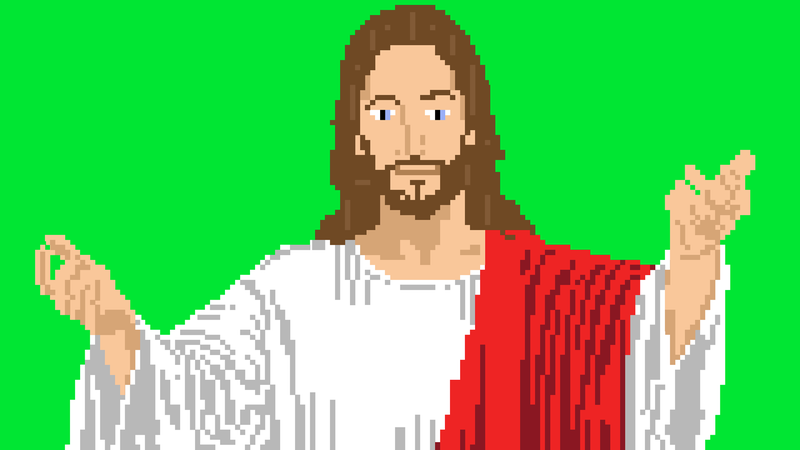 On our newest podcast episode, we read an email from M. Joshua Cauller, who writes for the website Gamechurch, about that website’s annual lists of Games That Jesus Loves. To me, the original questioner is not looking for a video game that merely presents instruction on how to lead the good life. Rather, he wants—or maybe I want—a game that creates the ineffable feeling of openness and connection that people can feel from church, from nature, from art. Subscribe to Shall We Play a Game? on iTunes, Android, or the podcast app of your choice. You can also follow the podcast on Twitter or like it on Facebook. Chris Suellentrop is the critic at large for Kotaku and a host of the podcast Shall We Play a Game?Contact him by writing chris@chrissuellentrop.com or find him on Twitter at @suellentrop.